2016. Cleveland, Ohio. USA. 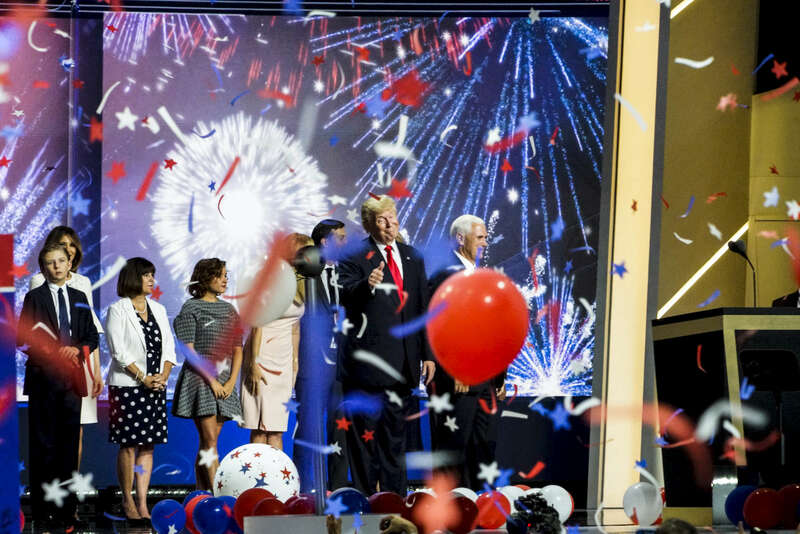 Trump, Pence and families wave to the crowd as balloons and confetti fall from the rafters to signal the end of the RNC at the Quicken Loans Arena.